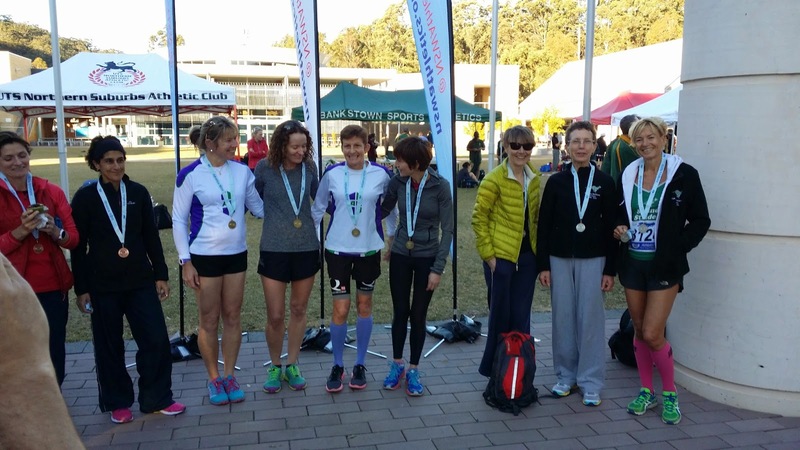 · Finally, an extra special mention for Emily Gocher and Cam Gorman who had just 8 minutes between their two runs. 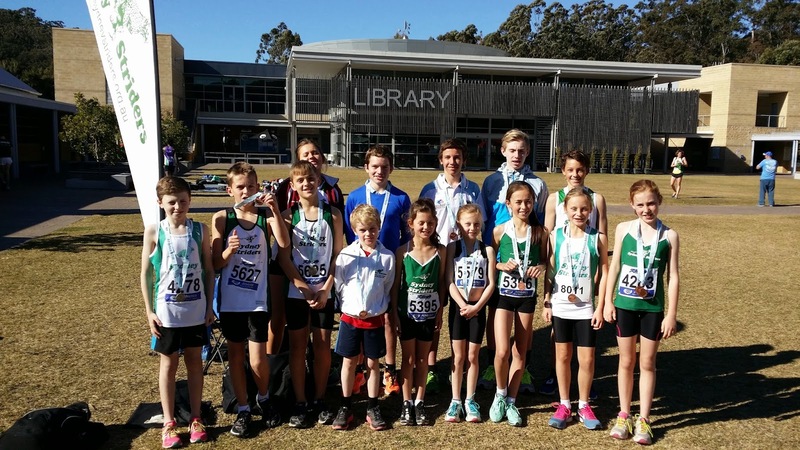 Emily ran 2nd for the under 12 girls A and last leg for the under 14 boys B while Cam Gorman ran 1st leg for the under 12 boys and 3rd leg for the under 14 boys B. 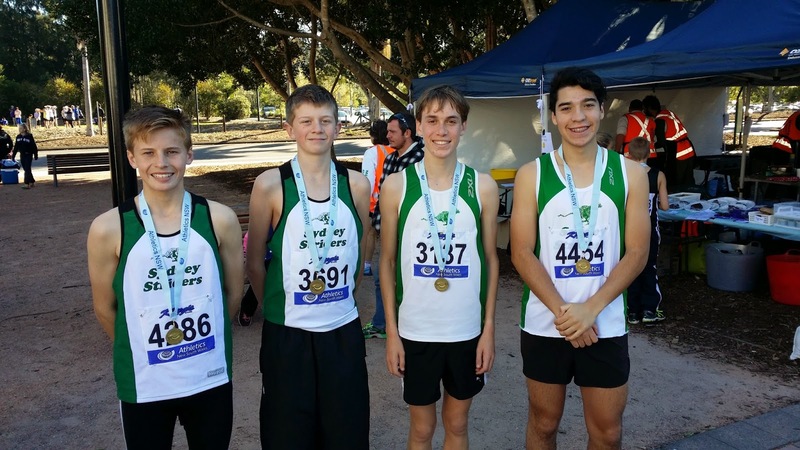 The team results were equally fantastic with gold for the under 18 boys, silver for the under 20 girls and under 14 boys A and bronze medals for the under 16 boys, under 14 boys B and under 12 girls A. Admittedly some age groups were more competitive than others. Racing conditions were tougher than the past 2 years with a head wind in the downhill section. The Man of the Match had to be Lachlan Cooper with his 6.10 1st leg which was the 2nd fastest 2k time of the day. The start of the 2K relays. I can see Lachlan Cooper and Cam Gorman - there are manly more. Kara Blackley ran very well indeed for the under 16 girls. Hayden Blaskett cannot be accused of not trying for the under 14 boys! Arlia Patterson with Evita Dickson behind. 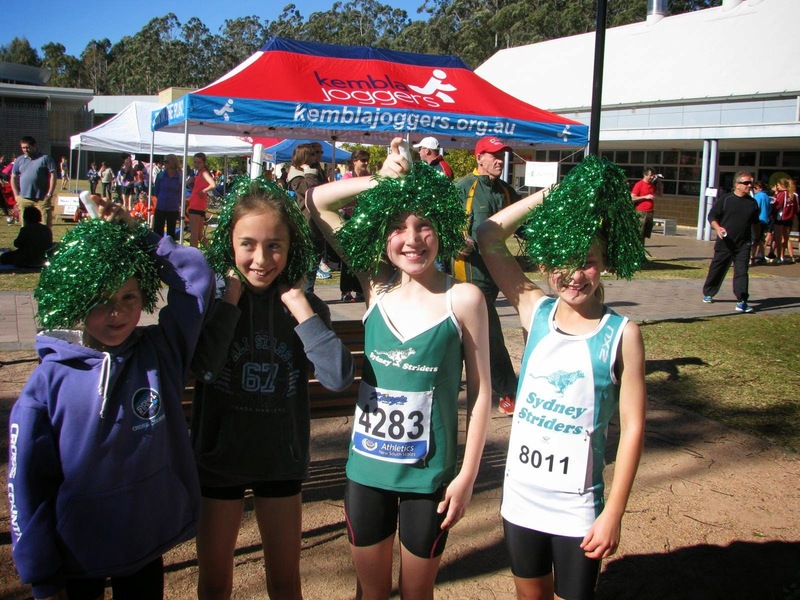 The bronze medal winning under 12 girls - Jessica Gocher, Ciara Sincliar, Emily Gocher and Hannah Lovelin finding a new use for Striders cheerleading pom poms. The under20 and under 18 boys start their 4K relay. Harlan Mulherin, Ben Jagger, Adam Halmy and Daniel Francken - under 18 boys gold medal winners. 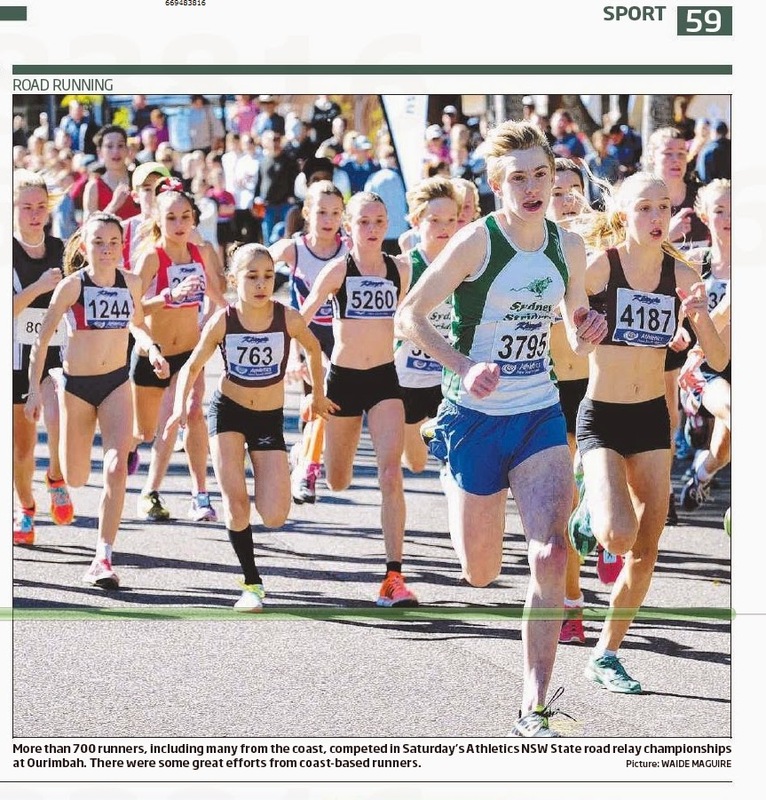 The last race, 4 X 4K at 2:30pm., saw the Dad’s 45+ team manage a credible 6th out of 10, behind the silver medal winning under 20 girls and just in front of the silver medal winning 45+ women’s team involving Fiona McKinley and Caroline. 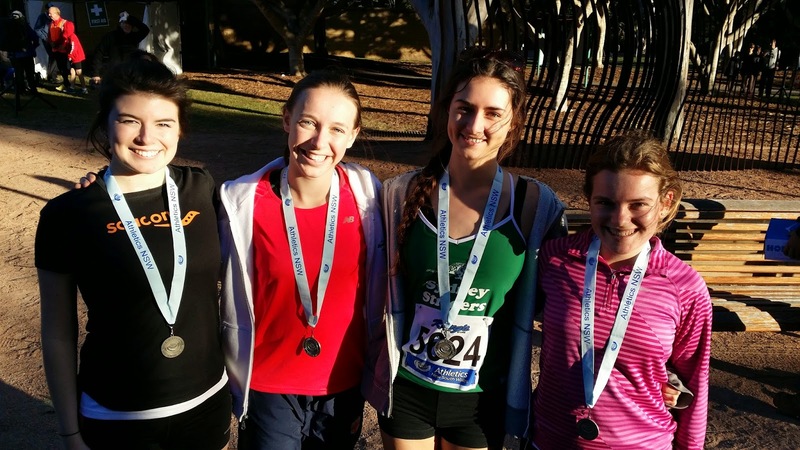 Jessica Vernon, Bethany Halmy, Arlia Patterson and Amelia Gorman - silver medal winners in the under 20 girls.